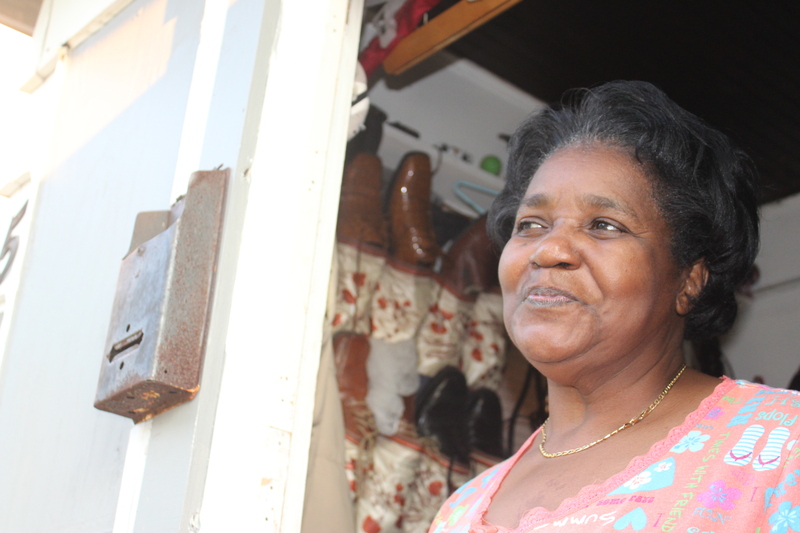 Standing in the doorway of her home, Patricia Williams smiles at her husband working in their front yard. As a 14-year-old, Williams witnessed someone get shot in the head while visiting a friend who only lived a few blocks away. At 23, she fought her way out of being raped after trying to start a polite conversation with a man standing near her building. “From that time [on], I was afraid,” she recalls. Those experiences brought her to Milwaukee. After her first time to the city visiting family, she realized that Milwaukee was where she wanted to live her life and raise her children. It was 1982 when Mrs. Williams packed her bag and caught the Greyhound, with her three younger children in tow, to establish their new lives in Milwaukee. Williams has had her fair share of ups and down. For her, life has often been about getting by without much help. Having worked at a number of restaurants during her time in Chicago, Williams knows her way around food, a skill that serves her well as a food service supervisor at Hope Christian School: Prima. But Mrs. Williams always does her best to make the children smile, whether it’s through an extra snack, kind words or simply listening to what is on their minds. Her husband, whose she’s been married to for 26 years, loves kids too. Williams, who recently turned 58, recalls her goals, as a young woman. And she still remembers the advice her grandmother gave her when she was just a teen.